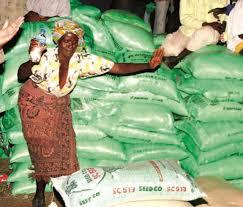 Fertiliser prices have dropped by an average of 7. 5 to 10 percent on improved access to foreign currency, an industry executive has said dispelling fears of shortages. It was reported in October last year that an additional $60 million was required to support production, on top of the $56 million the central bank secured from Afreximbank. The drop in prices is a timely boost for farmers to improve productivity and increases prospects for a successful farming season. A snap survey by The Herald Business showed prices for both top dressing fertiliser and basals had significantly dropped in major retail outlets while availability had also improved. Windmill retail manager Cleopas Mupariwa also confirmed the development saying Government’s policy interventions had improved supplies on the market and helped avert potentially catastrophic fertiliser shortages in the country. “Fertiliser supplies have improved over the past fortnight due to the improved access to foreign currency from the Afreximbank-RBZ and NSSA fertiliser facilities. “This availability has caused a significant drop in the fertiliser prices by between 7.5 and 10 percent especially in the outskirts of Harare. “Major fertiliser companies in the country have benefited from this facility to import Ammonium Nitrate and compound D from both South Africa and India,” said Mr Mupariwa. Government’s policy to allow people with free funds to import fertiliser and chemicals had also eased the pressure on fertiliser availability and allowed the fertiliser situation to stabilise. “In November top dressing fertilisers were going for $50 per 50 kilogramme in most growth points and they have since gone down to between $40 and $45 per 50 kilogramme. “The price of basal fertilisers went down to $37 from $40 per kilogramme bag in the same period. “This may be due to foreign currency access by farmers but in my view the issuance of import permits to those with free funds has also helped the situation. The country has been hard hit by the shortage of fertiliser among other critical inputs threatening to derail Government’s programme aimed at ensuring food self-sufficiency. Last year, the National Social Security Authority availed $20 million to help fertiliser firms; Windmill and Zimbabwe Fertiliser Company (ZFC) to boost production and meet demand for Government’s Command Agriculture programme.